Partner of Cremades & Calvo-Sotelo. Professional practice mainly focused on Industrial Property and unfair competition. Professional practice mainly focused on Industrial Property and Competition. General advising, judicial and extrajudicial defence (including the coordination of litigations in several jurisdictions) in relation to patents, marks, designs, domain names, e-commerce, as well as commercial contracts. Due to his professional experience in this field he has been recommended in several guides and directories dealing with international legal practice, including LEGAL 500 (years 2003, 2004, 2005 and 2006), Best Lawyers (year 2008, 2009) or Chambers Europe (2009). According to Chambers Europe’s last published edition: Antonio Selas “has built up a strong practise that focuses chiefly on industrial property and unfair competition”. His career started in Italy where he worked at the Rome office of a USA Law Firm, between October 1993 and Mach 1995, in the scope of two COMETT scholarships granted by the European Communities Commission. Since 1996, he has developed his career in two industrial and intellectual property specialized Law Firms. He has delivered several speeches at conferences on trademark related issues and has also participated in symposia and seminars on these matters. International Trademark Association (www.inta.org) where he is member of the “Academics Subcommittee”. Law Degree by Universidad Complutense of Madrid and Member of the Madrid Bar Association since 1996.
International Trade Law Post-Graduate Course, U. Institute of European Studies - International Training Centre of the ILO, Turin, Italia. Master in Industrial and Intellectual Property Law by University of Alicante. Master in European Union Law by the Universidad Carlos III of Madrid enjoying a scholarship of the Hon. Bar Association of Madrid (1997). 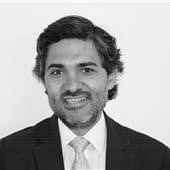 In 2003 he becomes associate professor of the Commercial Law Department at Universidad Carlos III, Madrid (www.uc3m.es) teaching Competence Law, Commercial Law on contracting and Commercial Law I (Corporate Law). He is also a teacher at the European Union Law Master by Universidad Carlos III, Madrid http://turan.uc3m.es/uc3m/gral/TC/ESMA/ESMA06/esma06.html) and the Industrial and Intellectual Property Master by Universidad of Alicante (http://ml.ua.es).